Carbon transmissions… how do they hold? 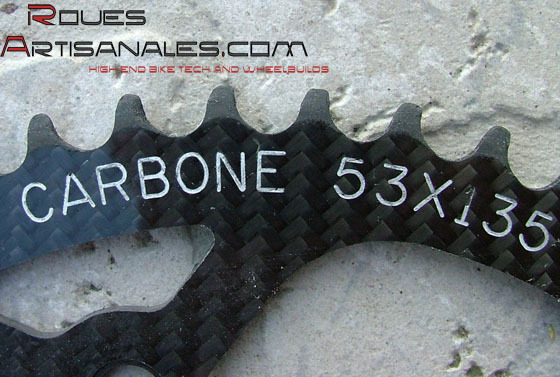 We spoke about the carbon transmissions the last year, when we reviewed the chainrings and jockey wheels from Fibre-Lyte. Originaly we were quite reticent to use such a material for the transmission. Finally, we are very pleased with these high tech toys. 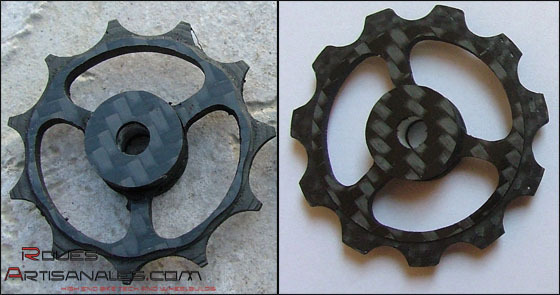 Ok, they now look as ninja throwing stars instead of a bike transmission component, but for sure they could have hold a few hundreds extra kilometers without a doubt.